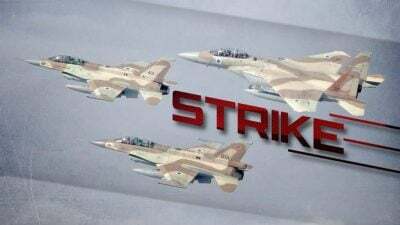 On September 4, Israel carried out a strike on targets in the provinces of Tartus and Hama, according to the Syrian state media. The Syrian Air Defense Forces intercepted at least five missiles. However, the rest of them hit a target in the area of Masyaf in the Hama countryside. Pro-Israeli sources described the target as an Iranian weapons depot. However, no visual confirmation to confirm this claim was provided. According to the news agency SANA, at least one person was killed and 12 others were injured as a result of the attack. No further details were revealed. Meanwhile, the Israeli military announced that it has carried out over 200 strikes on Iranian targets in Syria over the past year. The September 4 Israeli strike came on the same day when the Syrian Air Fore increased number of airstrikes on terrorist targets – mostly Hayat Tahrir al-Sham (formerly Jabhat al-Nusra) and the Turkistan Islamic Party – in southern and southwestern Idlib. According to different sources, about 30-60 strikes were carried out. Pro-militant sources also claimed that the Russian Aerospace Forces were involved. Earlier, Syrian Foreign Minister Walid Muallem said that US threats to strike the war-torn country will not halt the liberation of Idlib. “The intended aggression won’t affect our people’s morale nor will it sway our military plans to liberate Idlib,” Muallem told the Russian state media. “This is not the first time that the United States, Great Britain and France have cooked up a scheme for a chemical weapons incident,” he added. Separately, the Syrian Foreign Ministry accused the US and its allies of supplying terrorists with weapons through Eastern European countries and the Balkan countries. “It is obvious that the United States and its allies are supplying a huge amount of ammunition and weapons, using third countries such as the Eastern European countries, Ukraine, and the Balkan states, to fuel the Nusra Front [also known as Hayat Tahrir al-Sham] and Daesh [ISIS],” Alaa Saeed Din Hamdan, the first secretary of the Syrian Foreign Ministry’s international relations department, said. On September 7, Iranian, Turkey and Russian presidents will meet for new high level talks in Teheran. According to the Kremlin, the situation in Idlib will be among the key topics of the Syrian agenda. The Kurdish People’s Protection Units (YPG) released a statement claiming that it had captured a key ISIS member responsible for the terrorist group’s intelligence activities in Raqqa, Aleppo, Hama and other areas. The YPG and its political wing, the Democratic Union Party (PYD), often accuse Turkey of war crimes and supporting terrorists. In turn, Ankara describes the YPG and the PYD as terrorist organizations, local affiliates of the Kurdistan Workers’ Party (PKK).